Matthew DeBord/BIAnd still room for four kids! 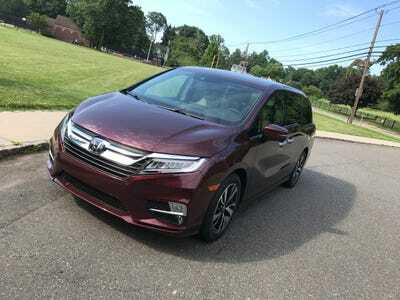 Fiat Chrysler Automobiles is currently outselling both Honda and Toyota when it comes to minivans, but for a lot of families, the minivan question still boils down to a choice between two people-haulers: the Honda Odyssey and the Toyota Sienna. The Odyssey has been around longer, since 1994, and we already took a closer look at this still-impressive vehicle in its most recent iteration, Honda’s fifth generation, which is built in Alabama. 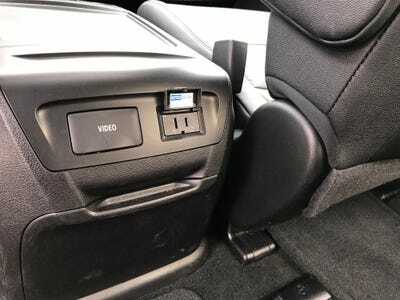 The Sienna arrived in 1997 and is now in its third generation, which means that the Indiana-made vehicle is getting long in the tooth, although it has seen many tweaks since 2011. A fourth-gen is expected soon. 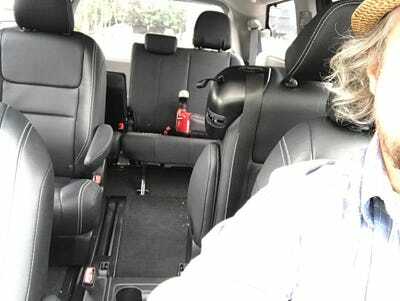 I’m in the ideal position to test out minivans, as I have a marketing-sweet-spot family of five (plus a recently added dog). My kids all have friends. And gear. 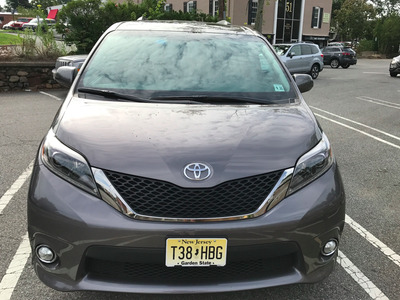 Over the course of a few days, I threw many challenges at the Sienna, a well-optioned, $A52,865 SE Premium trim (the base model is about $A38,032). 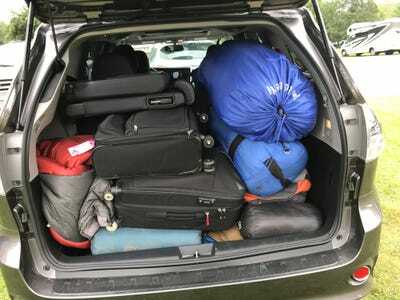 And I do mean many: a round-trip to pickup four kids from camp, plus all their equipment, as well as a jaunt to a lakefront hideaway with two kids and an extra adult. In between, I threw in some trips to Home Depot and the grocery store. 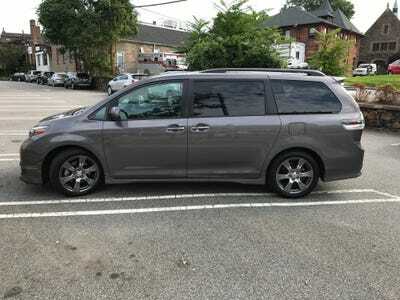 I came away with an extremely accurate sense of what the Sienna does well — and what it doesn’t. ... I got my hands on the Toyota Sienna. The Sienna is a bit more venerable. 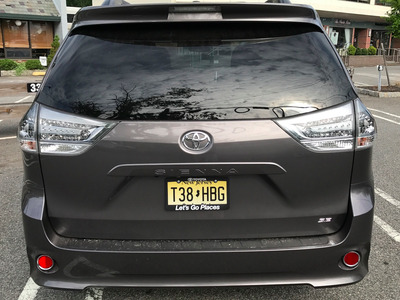 The Odyssey was just redesigned, and our tester was a 2018 model. The Sienna was a 2017. Yep, it's a minivan, with easy-access sliding side doors and a big ole power liftgate. 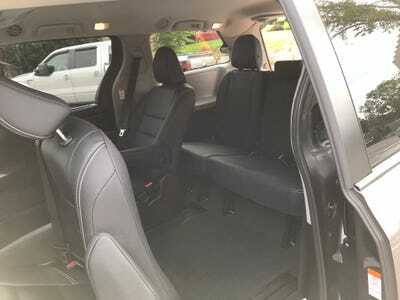 The Sienna can seat eight, but a lot of folks will remove the second-row center seat and create a pass-through to the third row, taking that down to seven passengers. 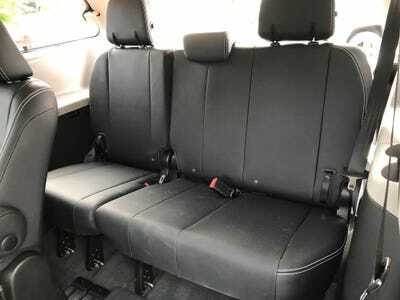 The narrow center seat from the second row can be neatly stowed in the cargo area. A big selling point for the Sienna is that it's available with all-wheel-drive, unlike the entirely front-wheel-drive competition. Our tester was a front-wheel-drive version, powered by a superb 3.5-litre V6 mated to an 8-speed transmission. With a lot of vehicles forsaking the traditional V6 for turbocharged fours, minivans are one of the last segments where consumers can get that pure, displacement-derived oomph. The Sienna's V6 cranks out an impressive 296 horsepower. The vehicle can accelerate from 0-60 in less than eight seconds, just what parents in need of freeway merging and passing power want. This is one of the infrequently praised aspects of minivans: with curbs weights that can push 5,000 lbs., they need solid power. 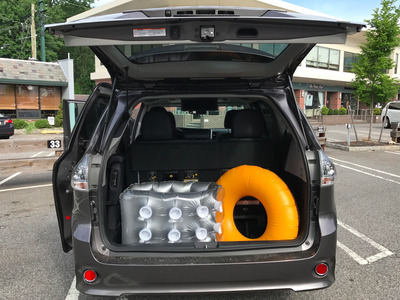 It's pretty easy to get the Sienna moving well north of the legal speed limit, something owners need to be mindful of -- all that bulk soaks up any sense of velocity. Fuel economy is fair: 19 mpg city/27 highway/22 combined (AWD worsens that across the board). As a former minivan owner, I can say that you will be trading off MPGs for all that hauling power. But all minivans suffer from this. 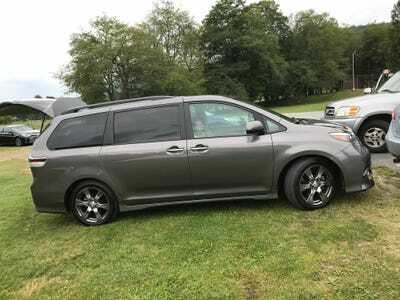 And to be honest, you really wouldn't want an underpowered Sienna with a smaller engine, lumbering up onramps and laboring to keep up with highway traffic. The styling is nothing to write home about. Completely bland, but that's not a complaint. The Sienna makes its money in other places, and the bus-like look is actually what a lot of owners seek. That said, in a 'Predawn Grey' paint job, our tester was handsome. So you might know from previous minivan reviews that we have a lot of ground to cover. Checking out minivans is like sampling pickup trucks. And our Sienna was pretty tricked out. There's a power rear liftgate to go along with the power sliding side doors. 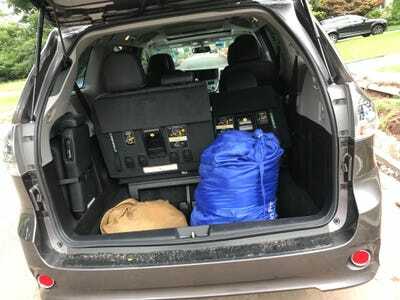 You've got about 40 cubic feet to work with as far as cargo space goes, when seats are folded down. That's more than almost any family will require, but it comes in handy if you're going to be transporting, say, an entire drum kit. A great thing about minivans is that they have a deep rear well, something SUVs don't. A couple of floaty things were inhaled without breaking sweat. As were about 50 lbs. of laundry. But the real test came with gear for four summer campers. I had to drop one of the 40-60 third-row seats, but it all disappeared into the Sienna's gaping rear maw. A beautiful sight! On to seating. The interior is vast. As you can see, I've removed the center seat from the second row to provide better third-row access. The interior was black leather, which in my experience is a mixed blessing. Leather is easier to clean than cloth, but black soaks up heat, so if you live in a warm-weather state, you're going to be dealing with a Sienna furnace from time to time. Fortunately, the AC is powerful and cools the back seats as effectively as the front. 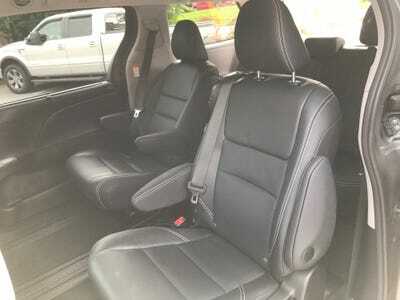 The rear captain-style seats are comfy, as are the front seats. 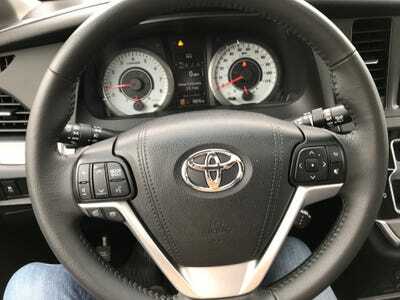 Toyota always gets the seats right; the carmaker is second only to Ford in my book. The second-row seats are on a slider and can be pushed far forward to enable access to the third row through the side doors. The third row has a bench configuration, but it's still quite comfortable. The Sienna has an excellent overall safety score, by the way: five stars from the US government. Minivans are among the safest choices for families. You're also basically surrounded by airbags in this thing. The driver's seat is one of the places where the Sienna starts to show its age. The instruments are basic, old-school analogue and you don't have much in the way of info displayed on the small center screen. Straight outta 2011! 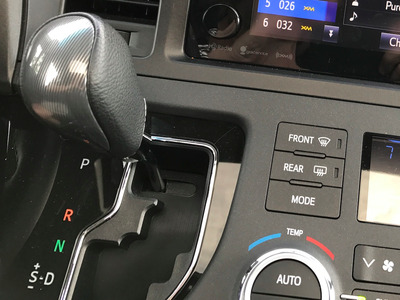 However, these simple knobs and buttons are a lot easier to use than some of the fiddly stuff we're seeing on newer vehicles. The front seats are heated, by the way. 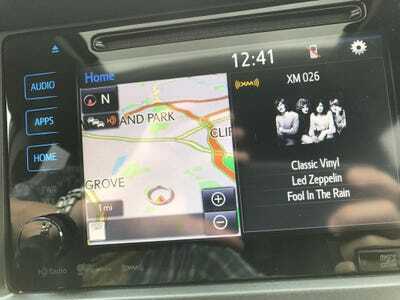 I'm of two minds about the seven-inch infotainment touchscreen. 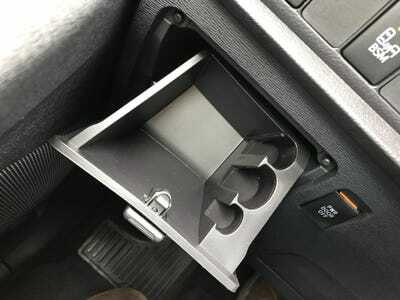 It's not as snazzy as more updated systems and, in fact, seems to share DNA with the unit in my 2011 Toyota Prius. On the other hand, it gets the job done. 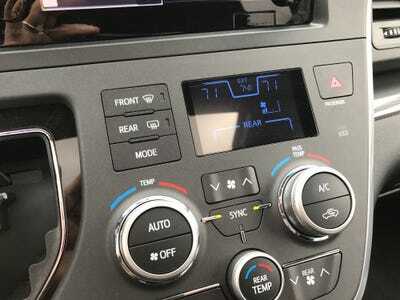 All the requisite apps and connectivity features are present (Bluetooth, USB, AUX port), and the navigation did a dandy job of getting me to my kids' camp and back. The 'Driver Easy Speak' means you don't have to holler at anyone in the third row to be heard. 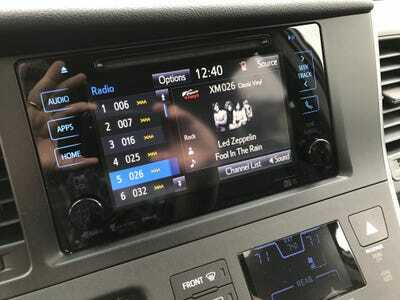 SiriusXM radio and halfway decent audio system serve up the tunes. If you haven't listened to 'Fool the Rain' in a while, then break out that copy of 1979's 'In Through the Out Door' and enjoy Jimmy Page's weirdest guitar solo. Check out that solo nuttiness here. Let me take a moment to complain about the shifter. Normally, I prefer a good old P-R-N-D setup to joysticks or push buttons. But the Sienna's gated shifter is hard to get the hang of. You might find yourself in neutral when you want to be in drive. 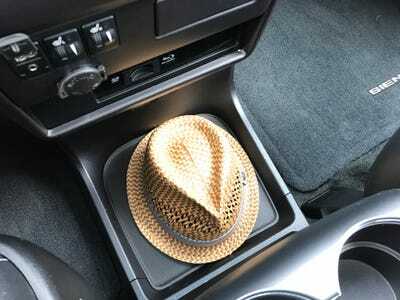 The manual-shift option is, as with all minivans, pointless. DVDs, Blu-Rays, and line-in entertainment can be played on the flip-down rear screen, whose views can be customised for multiple watchers. 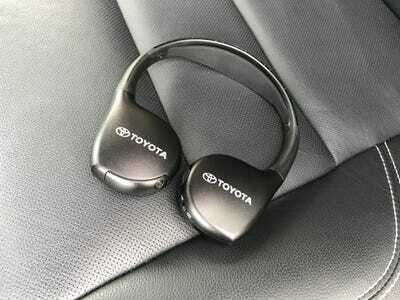 And the Sienna in this trim level comes with a pair of wireless headphone. These systems are going the way of the Dodo, however, as 4G LTE wifi becomes more prevalent and everybody simply uses a mobile device for entertainment. Minivans are epic when it comes to storage, and the Sienna is no exception. Charging options are, unfortunately, a bit limited. Although the Sienna does have a proper 120V outlet. 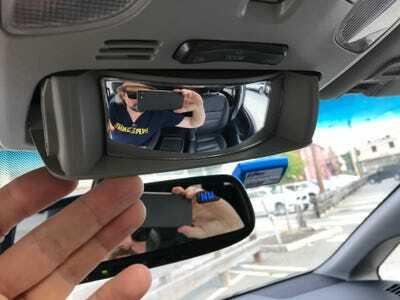 There's also a convex mirror in the sunglasses compartment for a quick check on the rear seats from the front. Uh oh, what have we here? 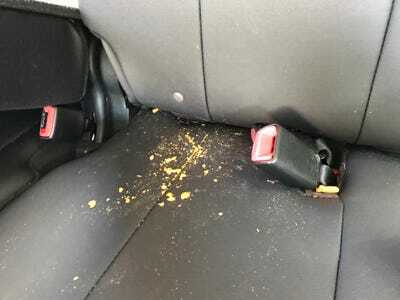 Yes, spilled goldfish, the bane of all minivans owners. For the Sienna, this means a trip to the gas station for some vacuuming. 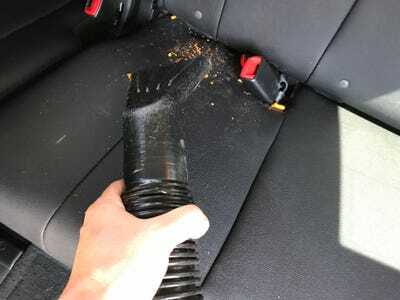 On the plus side, a powerful vac means all that crud is gonna get sucked up, even the goldfish that buried themselves down inside seats. 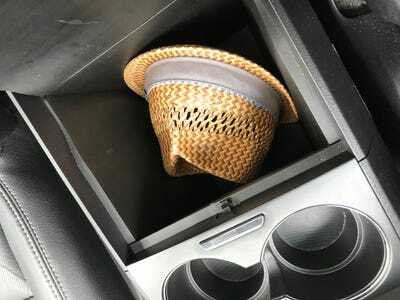 On the con side, Honda and Chrysler each have onboard, less powerful vacuums available as an option. 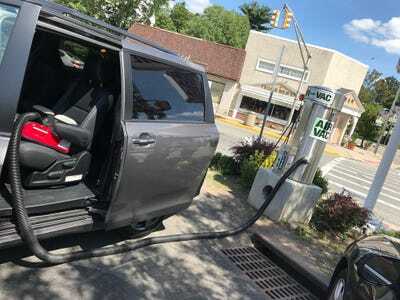 It's a fairly safe bet that Toyota will offer a factory installed vacuum on the next generation of the Sienna. What then is the verdict on this tried and true minivan stalwart? Does it stand out from the crowd? It doesn't. But that's not the point. 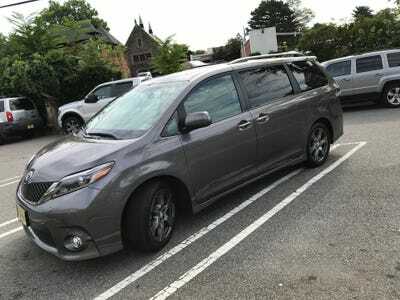 For a vehicle that's well into its current generational product cycle to still perform its basic functions so completely capably is a testament to what a marvellous design Toyota created with the Sienna. 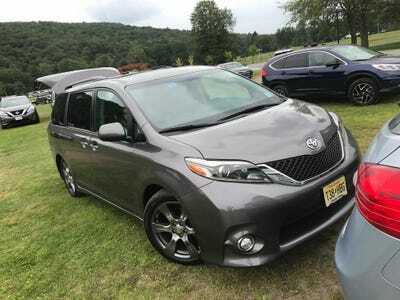 You can't find anything the Sienna does badly, you can just find stuff that it does less well than newer models. The only challenge I threw at it that it couldn't handle was the goldfish spill, and that was remedied with a quick jaunt to the gas station. The fundamentals were managed magnificently. And that's why people have bought and keep buying the Sienna: it's never going to let you down. Sure, it's a tad dull. 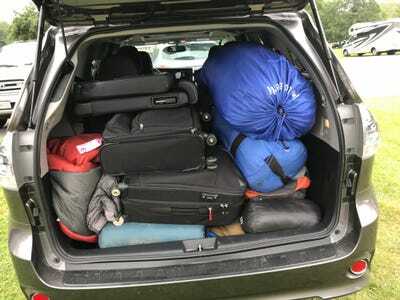 But tad dull can still load up with two weeks worth of camping gear and still have enough room to seat five, driver included. 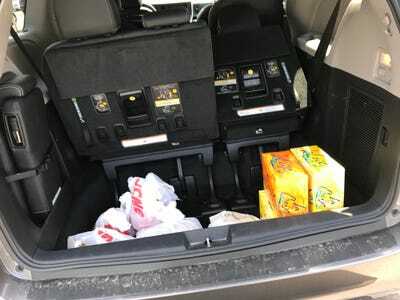 By comparison, grocery-story runs and school pickups, the lingua franca of family life in suburbia, are nothing for the Sienna. Styling for the rival Honda Odyssey isn't dull, but it's also been polarising for Odyssey loyalists. 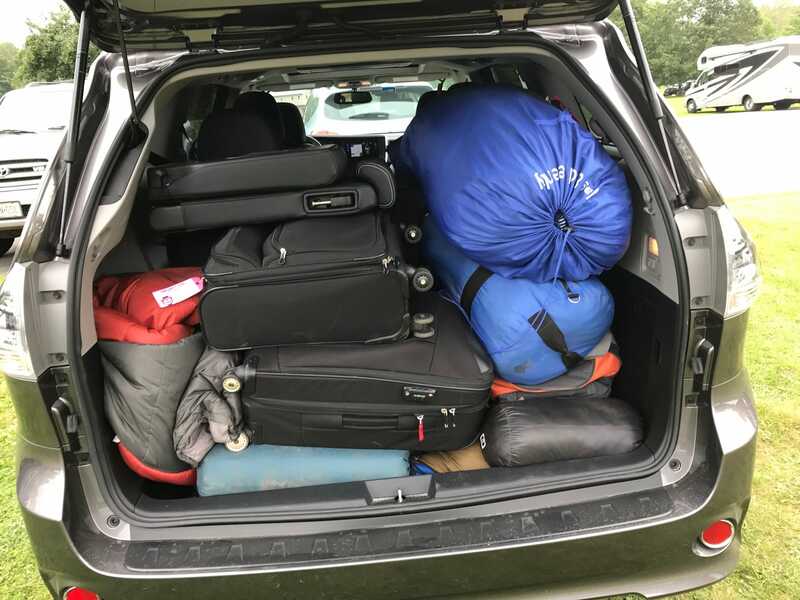 In this respect, the Sienna is refreshingly staid: what you see is truly what you get, a big rectangular essay in comfort, utility, and cargo capacity. The thing isn't really fun to drive, but it has abundant power, and the handling is decent, although it does feel very, very much like Toyota (the Odyssey, by contrast, drives like a car, not a bus). 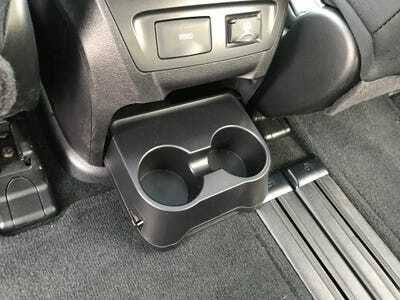 The brakes control the minivan's considerable bulk, and the cabin is well insulated from road and wind noise. 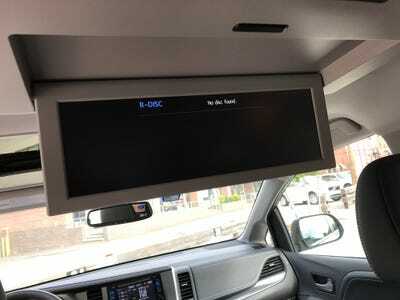 Driver-assist features are more-or-less up to date, but back-up cameras and blind-spot warnings have been relegated to 'expected' by most new buyers, who want adaptive cruise control and more elaborate collision avoidance tech. Personally, I thought the Sienna was actually advantaged by the lack of bells and whistles: some of the newer tech is distracting and intrusive. Toyota is well aware that it's squeezing the last days out of the Sienna's ageing iteration, but actually using the vehicle for its intended purposes is a reminder than while newer is often better, it doesn't always radically redress the use case. Objectively speaking, the Sienna doesn't really have any weaknesses and hasn't for nearly a decade. Yes, it's behind the times. But so what? In the context, think about what you'll be getting from a Sienna a couple of years on with ownership. 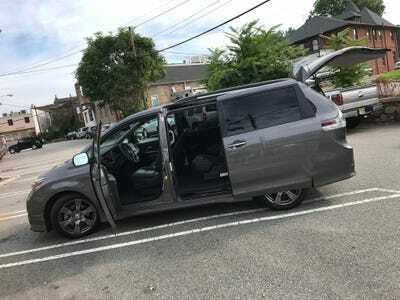 Minvans typically get pretty trashed, but under the skin, the Sienna will continue to deliver Toyota's legendary dependability. 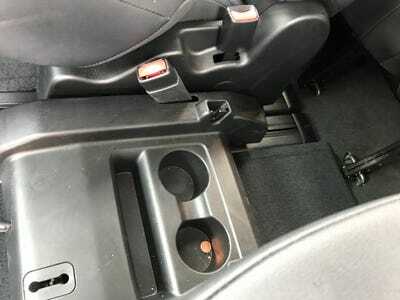 There isn't much to go wrong with the V6 engine or eight-speed automatic, so maintenance will be limited to brake jobs, new tires, and oil changes. 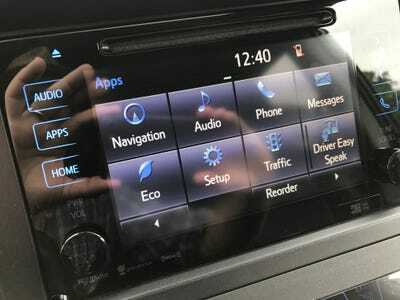 Newer infotainment systems, it's worth noting, have been responsible for a lot of owner grousing, but the Sienna doesn't have one. And all the driver-assist tech in the world isn't going to relieve the driver of actually driving. So the Sienna is what you call 'well done.' Not a continual delight, to be sure. But it's not as if you'll ever regret buying one, and in a year or so, an updated model will arrive and all the complaints I've just cataloged will have probably been addressed. So we should send the gen-three minivan off into the sunset with the respect it so rightly deserves.